Metal roofs are among the most popular roofing choices for both commercial and residential purposes. The demand for metal roofs has dramatically increased over the last ten years. Here are a few of the benefits that make metal roofs such an ideal choice for residential and commercial property owners alike. Metal roofing systems are known to be the best investment in terms of longevity. 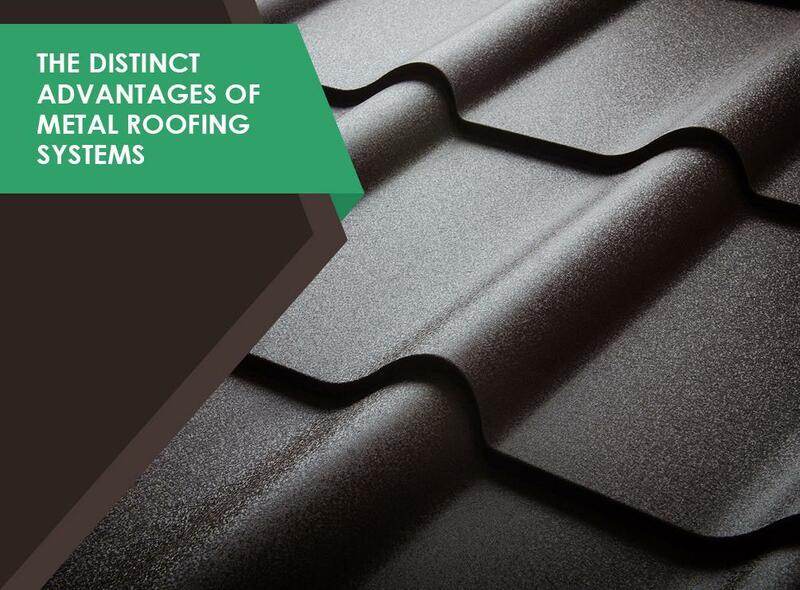 With proper installation, you can expect them to outlast most other roofing options. With warranties typically lasting from 20 to 50 years, metal roofing systems make fine investments. If there’s one characteristic that sets metal roofing apart from others, it’s sheer strength. It ranks among the most durable roofing options and is noted for its ability to survive high winds while being fire, mildew, rot and insect infestation resistant. Thanks to the inherent ability to reflect the sun’s rays instead of absorbing it, metal roofs also bring the benefit of superior energy efficiency. In fact, the Cool Metal Roofing Coalition reports reflective metal roofing can bring as much as 40% savings to your household. Metal roofs now come in a wide variety of designs, finishes and colors. In fact, some manufacturers these days even have products that mimic the look of other roofing types. The volume of choices makes it easy for metal roofs to blend seamlessly with the prevailing architectural design of both homes and commercial properties. For all your roofing needs, there’s one name you can always count on: Rogers Roofing, Inc. Recognized as the best of the best, we’re the roofer that does it all for you. We serve multiple areas in Illinois, including Dyer, Munster and Tinley Park. Call us today at (773) 492-2270 to get a free estimate.